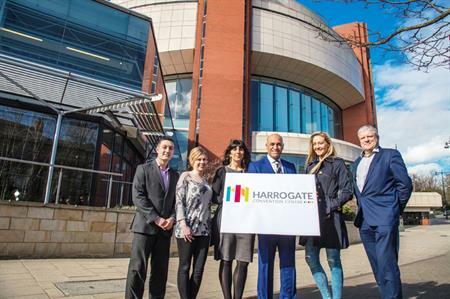 Harrogate International Centre (HIC Yorkshire) will change its name to Harrogate Convention Centre in April. The rebrand will see the venue drop its current logo and title from April, replacing the old branding with one based on the centre’s main auditorium. The new name and re-branding are part of long-term plans to strengthen and maintain competitiveness, with the new logo reflecting a ‘customer-focussed approach’. A new website will also be launched alongside the rebrand to strengthen the venue’s sales and marketing strategy. Commenting on the rebrand, Brain Dobson, head of sales and events at the venue, said: "The rebranding is part of our 10-year plan to modernise and keep the business relevant in a tough market, while drawing on the experience, not only of our venue but of Harrogate as a town, in welcoming major events. "We have been hosting conventions in Harrogate for almost 200 years and, through smart investment in our facilities and recognising our strengths, we have a great foundation for the next 200 years. It’s about staying relevant in a rapidly changing events industry."